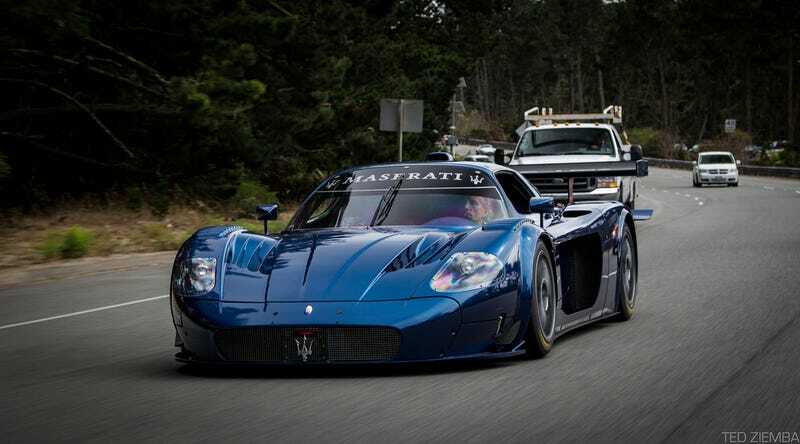 Today I was lucky to see and photograph an absolutely amazing car: a non road legal Maserati MC12 Corsa (one of only 12 in existence) in Monterey, California. Link to high res image here. Here's also a video I shot on the go. What an animal!